Jaguar Wins Production Car Race, Mk. V Coopers Hold Off Iota Challenge in 500-c.c. Event. Although the hoped-for battle between the official Ferrari and Alfa-Romeo teams fizzled out with the withdrawal of the former, Silverstone on May 5th saw Reg. Parnell's 1950-type 4½-litre Ferrari seriously challenge Fangio's Alfa-Romeo in its heat and lead all the Alfa-Romeo team of Type 159s in a tropical rainstorm which caused the Final of the International Trophy Race to be abandoned. There is no doubt but that Parnell out-drove the Italians under these conditions, and the roar of cheering that followed him round the circuit from the drenched crowds marked one of the most stirring episodes in British racing. Had the race not been abandoned Parnell would almost certainly have had the distinction of being the first driver, Ferrari the first car, to vanquish the all-conquering Alfa Romeos. Stirling Moss and Charlie Dodson — Austin ace returning to racing — finished first and second in the Production Car Race in XK120 Jaguars, and Frazer-Nashes dominated the under-2-litre category, convincing proof that Britain makes two truly outstanding high-performance cars. In the 500-c.c. Race the Mk. V Coopers of the Ecurie Richmond ran away from all opposition save that offered by pioneer Clive Lones in an Iota-J.A.P. Rain marred Friday's practice but on the Thursday Fangio lapped at 98.10 m.p.h., unofficially breaking Farina's lap-record by 3.08 m.p.h. 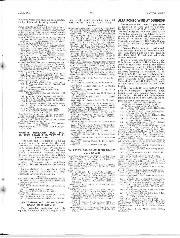 ; Johnson put his Jaguar round at 80.06 m.p.h., and Headland's Cooper and Lones' Iota tied for fastest 500-c.c. time, at 81.24 m.p.h. The Argentine delegation had arrived by air, bringing Madame Peron's silver cup for the entrant of the car winning the Production Car Race, and on Saturday morning the crowds began to fill the big car parks in their tens of thousands, officials and Pressmen came to life in the rows of Berkeley caravans behind the pits, the Alfa-Romeo drivers arrived after a quiet night at the Cornhill Hotel near Towcester, their cars coming in two vast, two-tier Alfa-Romeo vans, the two Lancia vans carrying the Simcas, Parnell's Triumph and " Bira's " D.B.II. 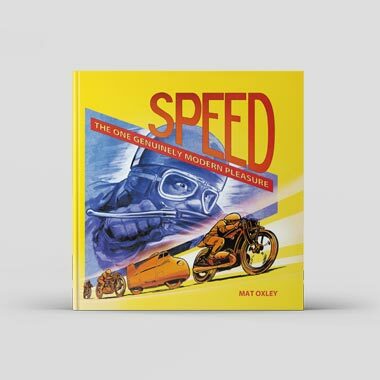 Aston Martin thrust through the throng; Vespa scooters buzzed about, your Editor joined Naish in a dice to Stowe Corner in a 1922 Peugeot, and all was set for the start of the 500-c.c. race, over approximately 35 miles. From flag-fall Lones in the disc-wheeled Iota got off well from the front row, followed by Headland's Cooper and Alan Brown's Cooper. After two laps Brown caught Headland and Brandon was on his tail. Brandon went into the lead after three laps, and a lap later his team-mate, Brown, was behind him in second place. Lones was still third, the exhaust note of the Iota deceptively docile, and Headland and Peter Collins were hanging on, these five well clear of the field. Spike Rhiando was last in the Mather Steel Special but was able to enjoy a duel with Papa Cooper in an unwell Cooper. Thus the race, not especially exciting, ran on, the two Ecurie Richmond Mk. V Coopers nicely masters of the international situation! Peter Collins, no doubt deeming more speed desirable, overdid it at Woodcote and rolled his Cooper over twice, but arose from his stretcher to drive a Dyna-Panhard very convincingly in the next race! Heat 1 of the international Trophy, over 15 laps, was rendered interesting by the presence of Parnell in C. A. Vandervell's 4½-litre Ferrari, one of the 12-plug V12 de Dion axle cars which harried the Alfas last year at Monza. Fangio's Alfa-Romeo led away and quickly built up a big lead from Bonetto's Alfa-Romeo, but already Reg. was third, ahead of Shawe-Taylor in the-ex-Harrison E.R.A., Manzon's Wade-blown Simca, Murray's Maserati and Rosier's Talbot. With Fangio out of sight of the field, lapping at 88.88 m.p.h., Parnell went seriously in pursuit. It seemed as if Bonetto did not, or could not, give Reg. any room to pass out of the corners, and in some quarters, the B.B.C. 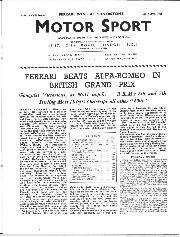 commentator included, it is held that he had been set deliberately to separate the Ferrari from Fangio's Alfa-Romeo. Certainly the Alfa pit was troubled by the speed of Reg. 's car, which, incidentally, he had previously driven up and down a runway, but at only 81.88 m.p.h. on the circuit. Certainly it wasn't until lap five that Parnell caught Bonetto swinging wide and, his own tyres howling, got through. He was then 10 sec. behind, and Fangio was immediately speeded up, Reg. lapping at 92.22 m.p.h. On lap nine Fangio, fearful of the Ferrari, lapped at 95.1 m.p.h., breaking the old record by 1.38 m.p.h.-the circuit is unchanged save for lines of tins in place of straw bales to mark the corners. Three seconds behind Parnell came Bonetto. Duncan Hamilton was driving with his usual dash in his newly-acquired Talbot, leading Rosier, and Moss came next in the H.W.M., ahead of de Graffenried's Maserati. Manzon in the very impressive Simca stayed fourth, however, ahead of Shawe-Taylor, who was doing his customary brilliant drive in the old E.R.A. After 10 laps Parnell was still ten seconds behind yellow-shirted Fangio, but Bonetto had fallen 26 seconds behind the Ferrari, and was five seconds in front of Shawe-Taylor, who had passed, and gained a second on, the Simca! On the last lap Fangio found himself only three seconds ahead of Parnell and lapped at 90.29 m.p.h., setting another new lap-record in his cool and calculating style, to keep ahead. Parnell lapped at 94.54 m.p.h., or 0.52 m.p.h. faster than Farina's 1950 record. Claes indulged in a minor accident. There followed the up-to-2 litres section of the One-Hour Production Car Race. The Dyna-Panhard team had its bonnets neatly wired down, but "Dave's" had normal fasteners. The Morris Minor tourers had their screen glasses removed and an aero-screen substituted, but Jones wore helmet and goggles. Keen drove an "Aerodynamic" H.R.G. sans rear-wheel fairings, and Tyrer his 1940 "Mile Miglia" B.M.W., Whitehouse a 2-litre push-rod engine D.B.II Aston-Martin, and Sparrowe his pre-war Coventry-Climax-powered Morgan "4/4." Otherwise it was to be a battle between current production cars. At the "Le Mans" start Buckley's Bristol saloon got going first but was soon overtaken by the Frazer-Nash of Spikins and B.M.W. of Tyrer, the latter leading lap one. Thereafter the "Le Mans Replica" Frazer-Nashes dominated the race, Gerard's leading until near the end, when Tony Crook's passed. 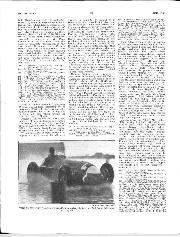 Both drivers had been lapping at 85.24 m.p.h., but Crook speeded up to 85.94 m.p.h. ; Newton did fastest lap of all, at 86.60 m.p.h. in third place. This very impressive racing by the Isleworth marque was marred when Salvadori, attempting to pass two "TD" M.G.s at Stowe, hit a marker tin. The car rolled over and over and the driver was very badly injured. Jacobs drove his "TD" M.G. splendidly, beating Ruddock's H.R.G. in the 1½-litre class, which the lone Jowett Jupiter, driven by Bert Hadley, had led until, pressed by its rivals, a valve head had fallen into the works. Phillips couldn't hold his team-mates in their "TD’s." Outstanding was the Bristol saloon, which disposed of a modern Lea-Francis and the Aston-Martin. Sparrowe's steady Morgan "4/4" won its class, managing 64 m.p.h. against the fastest Morris speed of 50 m.p.h. But the Dyna-Panhard saloons took everyone's fancy, except those anxious to pass, indulging in great games amongst themselves, the lead changing frequently, and Wilkins and Dryden finishing in a dead-heat-at a rousing 63.15 m.p.h. The results give the best indication of what went on. Heat 2 of the International Trophy saw Farina in fine form and the Type 159 Alfa-Romeo leading effortlessly from Sanesi's car, "Bira" clinging on in the Osca for all he was worth and materially closing the gap. After five laps Farina had averaged 93.52 m.p.h. and led by 19 seconds, and "Bira" was three seconds behind Sanesi. Gerard's old E.R.A. was a mere two seconds further back, and very comfortably ahead of Trintignant's Simca. Already, on his second lap, Farina had set the Silverstone lap record to 97.19 m.p.h., varying his times for six laps by only two seconds. This took him right away, 28 seconds ahead of his team-mate after 10 laps, "Bira" now 7 seconds behind Sanesi. So it continued to the end, the blue-cowled Alfa of Farina leading Sanesi in the white-cowled car by 31 seconds. "Bira" probably deciding not to be over-extended by the Italians, finished third, 28 seconds behind Sanesi. Note, too, that Gerard had not permitted Trintignant to make any impression on his E.R.A. In the interval which followed more Italian supremacy was demonstrated, when Taruffi drove round in his twin-boom 180-m.p.h. Italcorsa. The second division Production Car Race which, followed was inspiring indeed! George Wicken's white XE120 Jaguar led at first, but Moss came by to lead by three seconds after five laps, with Peter Walker in third place, so that the Johnson-Moss-Walker team should have been in a strong position. Alas for them, Johnson never generated enough steam and towards the end Walker, leaning forward to attend to a sticking throttle, deemed it desirable to call at his pit. He had been cutting for the corners on the ignition! This let by the very powerful Hamilton-Charlie Dodson opposition, Hamilton cornering at what looked to be the XK's limit. Holt's Jaguar also possessed a self-opening throttle and spun viciously. Another car going at the limit was Grace's 2½-litre Riley saloon, until it retired with a burst tyre. Peter Morgan, too, put up a rousing display in the Morgan "Plus Four" coupe, showing not only that it could be thrown through corners very fast indeed but that it could out-accelerate several of the "Silverstone" Healeys. For many laps it clung to Spiller's Healey. Comparitavely unsteady at times were Oscar Moore’s Jaguar and Stokes' Healey. The former somewhat in the way of faster cars at times. Parnell did his best for Feltham in the D.B.II. winning his class, but outpaced by five XK 120s and the 4-litre Nash-Healey which, beautifully driven by Holt, did not look too luridly "American" but seemed to get a bit warm. 1st: S. Moss (Jaguar), 84.50 m.p.h., 61 min. 32 sec. 30 laps. 2nd: C. J. P. Dodson (Jaguar), 83.83 m.p.h.. 60 min. 5 sec., 29 laps. 3rd: D. Hamilton (Jaguar), 83.15 m.p.h., 60 min. 27 sec., 29 laps. 1st: S. Moss (Jaguar), 84.50 m.p.h. Up to 750 c.c. : G. Wilkins and R. M. Dryden (Dyna-Panhards) 63.15 m.p.h. Up to 1,100 c.c. 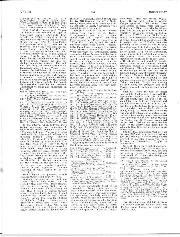 : J. M. Sparrowe (Morgan) 63.90 m.p.h. Up to 2,000 c.c. : T. A. D. Crook (Frazer-Nash) 83.63 m.p.h. Up to 3,000 c.c. : R. Parnell (Aston-Martin) 81.42 m.p.h. Over 3,000 c.c. : S. Moss (Jaguar) 84.50 m.p.h. Team Prize: The Frazer-Nash team (Gerard, Clarke, Winterbottom). Runners-up: The Jaguar team (Johnson, Moss, Walker). So to the unfortunate Final of the International Trophy, unfortunate because a thunderstorm broke out over Silverstone as it was due to start and drenched the spectators, popularly estimated at 100,000. When the cars came round on lap two in clouds of spray, Parnell’s low-hung Ferrari was comfortably ahead and the crowd, as I’ve never heard a British crowd do before, forgot its discomfort and roarded approval. Moreover, Duncan Hamilton's Talbot was second, Whitehead's E.R.A. third, before a worried Fangio appeared. The others, three Alfa-Romeos included, were hopelessly behind, and "Bira," as at Goodwood last year, had virtually given in to all-but-nil visibility. Moss was coining up fast in the green H.W.M. when Richardson's R.R.A. hit a marker tin at Stowe and sent it flying. Stirling hit it and drove on with it wedged into the front suspension; he was forced to stop, to let a St. John's man kick it clear and be push-restarted, otherwise he would have been up by Parnell. Reg. out-drove everyone, a magnificent display of skill and courage. 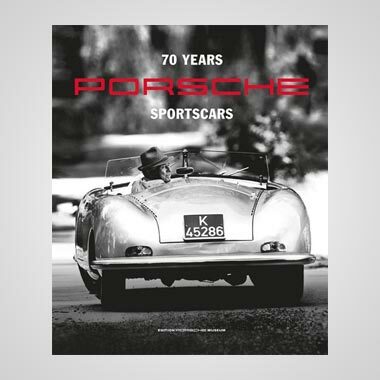 His position round the circuit was signified by the cheers of the spectators – a British driver well ahead of Fangio, Rosier, Claes, Farina, Bonetto, Louveau, Entancelin, Sanesi, de Graffenried, Schell and Manson! The only poor consolation to the foreign drivers was that we in England have plenty of chances of driving in rain! Manzon buckled a wheel, bursting a tyre but resuming in one minute. Reg. spun at Woodcote and two Talbots collided. Fangio was opening up only along the straights, and even Parnell was able to lap at only about 62 m.p.h. Then hail joined the rain, the track was rapidly flooding and it was said the lap-scorers couldn't read the numbers. At this point, with six laps of the 35 completed, the Duke of Richmond and Gordon, Earl Howe and L-t.-Col. A. T. G. Gardner decided to have the race stopped. 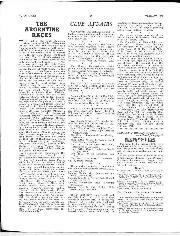 It is not right that we should offer comment, except to recall races run before the war at Brooklands in conditions quite as bad, a lady leading in one instance and cars spinning wildly and going through the fencing, and still the race was allowed to proceed. Perhaps we were tougher then, or the safety-fences deemed more adequate than Silverstone's human-chestnut-palings! The B.R.D.C. 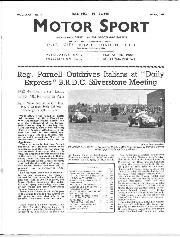 emphasised that the race was cancelled and the prizes awarded as a gesture; ten days later the Daily Exepress referred to Parnell's Ferrari "in which he won the International Trophy at Silverstone". No doubt the already-soaked spectators would have liked Reg. 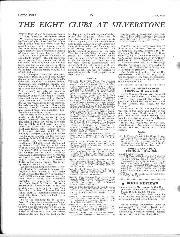 to have run on to win this International race – they couldn't have got any wetter if the race had not been called off. In fact, the placings are only of academic interest. Eric Brandon chose Mobiloil oil, Newton shock-absorbers, Dunlop tyres and Ferodo brake linings in winning the 500-c.c. race. Stirling Moss' Jaguar had Newton front and Girling rear shock-absorbers, Lucas ignition and Dunlop wheels and tyres. 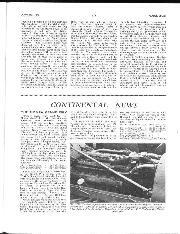 T. A. D. Crook's Frazer-Nash had a Lucas coil to its Delco-Remy ignition equipment, Ferodo-lined brakes and Dunlop tyres. During the afternoon Tommy Wisdom towed a caravan around the circuit at speed. The car, an M2 Allard, pulled the Berkeley "Messenger" faster than any caravan has yet travelled, touching 70 m.p.h. and averaging approximately 55 m.p.h. 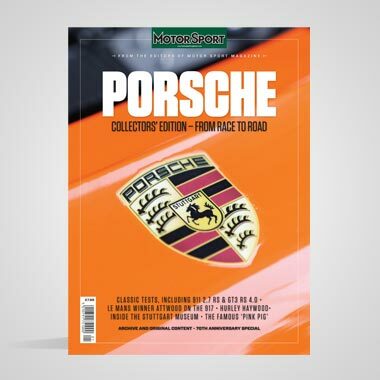 The caravan is one of the team vans entered last Easter in the French Rally de Soleil, when the three Messengers finished first, sixth and tenth out of seventy-five entries and covered the 598 miles from Paris to Cannes without losing a mark. 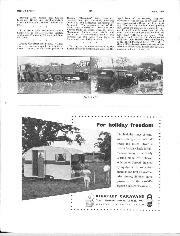 Bearing out the views expressed by the Editor of Motor Sport in an article in the April issue of the Berkeley Magazine, members of the Motor Sport staff lived in a caravan during the period of the meeting. The Berkeley Courier chosen proved just about the ideal mobile home, by day and by night, and the makers are quite the most courteous and progressive firm we have dealt with for a long time. Their address, and that of the above-named magazine, now retitled Modern Caravan, is 175, Great Portland Street, W.1, where they will be pleased to demonstrate all the Berkeley models and discuss any caravan matters that may puzzle you.